Hit and Run – Am I Covered? If your family member survived for a period of time between the injury and death, damages may also be awarded for conscious pain and suffering. When the death was caused by an intentional or willful act, punitive damages may also be pursued. Who Can Sue for Wrongful Death in Illinois? Losing a loved one can be absolutely devastating. Illinois’ “Wrongful Death Act” designates who can and who cannot sue for a loved one that was killed. Next-of-kin are eligible to sue for the death of a loved one, which includes a surviving spouse or children. If there are none, then any siblings or parents of the deceased are considered. The court appoints the next-of-kin as a personal representative in charge of bringing the death claim on the behalf of the estate. Our lawyers study the medical records carefully and consult with nationally-known medical experts to determine if you have grounds for a claim. Our attorneys know how to demonstrate the negligent or intentional acts that support a successful action for the loss of a loved one. In a jury trial, the value of the loss suffered by the survivors is often most clearly conveyed by their testimony. We help bring the family together to present a compelling case for the highest possible award. We have helped many family members recover the compensation they deserve from the companies or individuals responsible for a family member's death. There are many different types of wrongful death and product liability situations and different laws and statutes in the State of Illinois that apply. If a loved one has been killed or seriously injured by an accident or defective product, it is crucial that a personal representative does not wait too long to pursue litigation. If the statute of limitations passes, the court may refuse to hear the case and the family will be left with no recourse. The statute of limitations may vary depending on the cause of death. 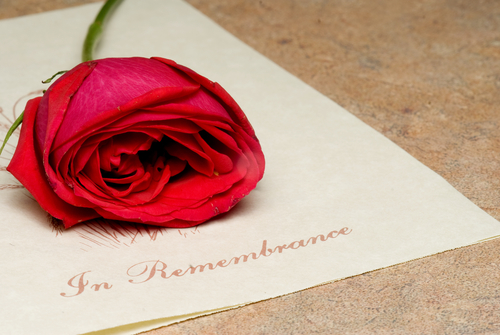 It is crucial you speak to one of our wrongful death attorneys immediately to ensure you have time to file your case. These cases are challenging and insurance companies work hard to defeat them, but our lawyers are committed to securing the compensation you deserve. Contact the Blumenshine Law Group today today for a free consultation or call us at (312) 766-1000. I couldn’t have made a better selection of an attorney to represent me. Scott Blumenshine really took matters into his hands and always made me feel my case was truly important. Genuine, respectful service. I am very happy and glad that a friend recommended this law firm to me. Thank you for everything Scott. Scott Blumenshine took my call to him from the hospital. We agreed that he would represent me at a reasonable price. Mr. Blumenshine moved quickly and efficiently in my case. I am completely satisfied with the Firm. I have never been involved in a lawsuit and was hesitant, but could not be more pleased that I get the medical treatment for my injuries, as well as a settlement for all the other expenses. Highly recommended. I am very pleased with the services I received from the firm. I always knew that Scott was looking out for me and my best interests with his tireless pursuit of justice. Thank you Scott and Team. I will always remember how you made it right for me. You keep your promises. The decision to hire an attorney is important and should not be based on website content or advertising. Before you decide, ask the attorney to send you their qualifications and experience. The information contained in this website should not be considered legal advice nor the formation of a client/lawyer relationship. What is the value of my uninsured motorist claim?